Santa Croce Church and House of Michelangelo Buonarroti. 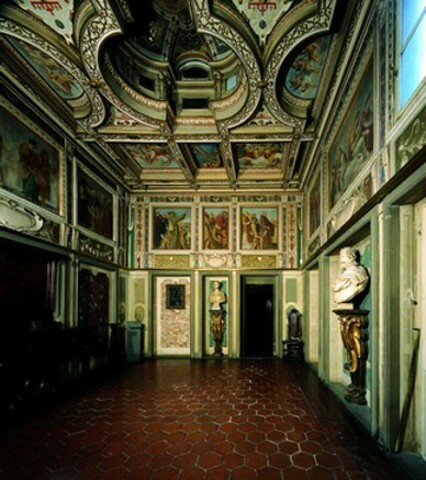 Tour presentation: this tour inludes the visit to the Church of Santa Croce and to the house of Michelangelo Buonarroti. It is the biggest Franciscan Church in the world. It was built by Arnolfo di Cambio in 1294 over a pre-existing church of 1228. Here you can find the funerary monuments of very important Italians, such as Michelangelo, Galileo, Rossini, Machiavelli and Alfieri. Also the Bardi and Peruzzi Chapels with frescoes by Giotto, the Sacresty and the Pazzi Chapel by Filippo Brunelleschi are worth to be admired. 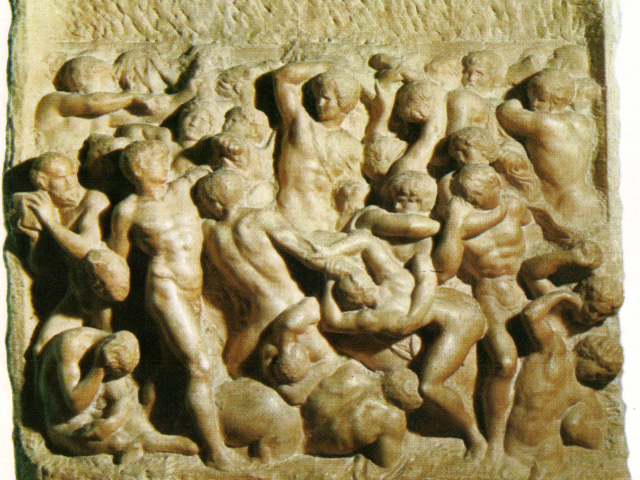 Visiting the museum of the Casa Buonarroti arouses the emotion of admiration for several early works by Michelangelo contained within its walls. These very famous works by the young Michelangelo of extreme artistic importance include the "Madonna of the Stairs" and the "Battle of the Centaurs” that testify his love for the Greek and Roman Art. Moreover here is to be found the wooden model for the marble facade of the Church San Lorenzo and the model for the chariot transporting David from Piazza della Signoria to the Accademia Gallery in 1873. Programme: meeting with the guide in front of the statue of Dante, Piazza Santa Croce. Visit of the Square and Church Santa Croce. 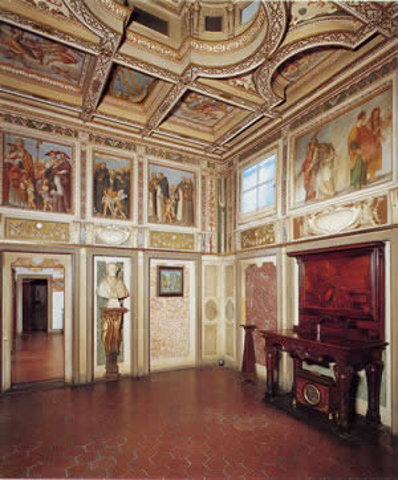 Then we will proceed to the house of the genius of the Renaissance, Michelangelo Buonarroti.